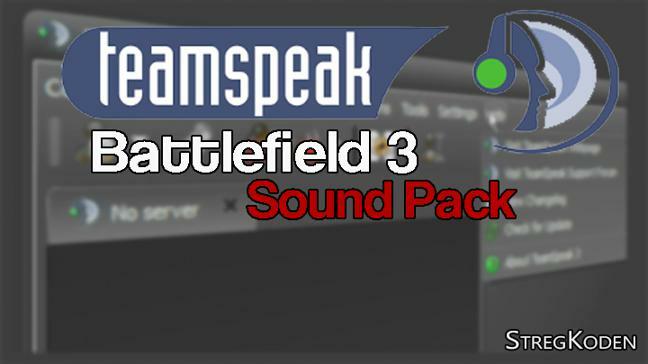 Soundpack with all the legendary voice and sound from BF3 to your TS3 Client. Insted of lising to the classic woman or man. Try the sound of a single shot, from a M416 bullet. And the sound of a "fly bye" from F/A-18F Super Hornet. Or all the 'speak' stuff from Battlefield 3. A long list of weapons. like: M416, M95, M9FS, AK-74, or M1A2. and many more. like: "Get you Shjt together" - "Do you hear me?". and many more.